View cart “Breathe” has been added to your cart. Lew Doty, although influenced over the years by many artists, has developed a style that is all his own. His lyrics are filled with spiritual principles, his voice ranges from angelic and tender to smoky and hard-driving. The songs he writes are often deeply contemplative, but easily transition to outrageously joyful and sometimes even humorous in their style. But the one continuous thread throughout Lew’s music is its intention. In every song he writes and in every performance he gives, Lew conveys his message of love, acceptance, allowing, peace and connectedness. 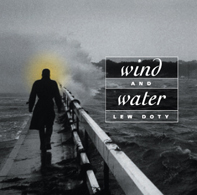 As one of his fans told him, “Listening to you is better than going to church.” You can’t help but hear God in Lew Doty’s music. After years of studying at The Guitar Study Center in NYC and as a private student of world renowned guitarist Chuck Wayne, Lew Doty enjoyed 10 years of performing his original music in clubs and colleges in the NYC metro area. In the early ‘70s, marriage and a family took precedence and Lew hung up his guitar, his life taking him in a completely different direction. In 1997 Lew was introduced to the New Thought movement, and suddenly music and lyrics sprang up within him as his spirit was ignited, and he could no longer ignore the creative urge. Within a very short time, Lew became a well-known name among New Thought churches in the greater Philadelphia area, and he began to see this new career as a music ministry. After great encouragement from his fans, Lew was blessed to record two CDs in the last four years, with plans for more to come. 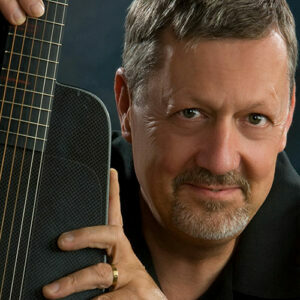 Lew continues to share his music at church services, concerts, workshops, and at any and all sacred ceremonies. 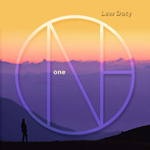 “Lew Doty has produced a wonderful collection of twelve songs about faith in God and trusting the divine in yourself. The divine takes many forms on this CD (from a song based on the Lord’s prayer to a number about Buddhism), but always offers acceptance, guidance and joy. This exceptionally well-produced CD features Doty’s deep, smooth, full voice, and his own original work. In a straight-ahead folk/rock style, the songs range from very upbeat tunes to ballads; they all rely heavily on acoustic guitar and percussion. Doty’s lyrics range from profound to affirming, and are bound to inspire.” – Beth Adelman, Science of Mind Magazine, April 2005. I've had the pleasure of meeting and listening to Lew over several years. I'm hoping to get to see him this coming Sunday! His personality and his music is delightful. His voice, music and message can be listened to with total enjoyment. Thanks, Lew! There are artists who have the ability to make your soul smile. Lew Doty is one of those artists. The depth of his heart-felt expression inspires and nourishes a hungry spirit. ONE will enrich anyone who gives a listen.